Welcome to our new series of videos: Fireside Tales. It’s the middle of winter here in Europe. The days are dark and cold so it’s a perfect time to sit around the fire and tell stories. Here, on the Stratford Teachers blog, you can watch the videos and test your listening comprehension. You can also download the transcript with a glossary so you can follow as you listen. There are six videos in this series. We will release a new one every few weeks. If you want to know when each new video is ready to watch, subscribe to our YouTube channel. 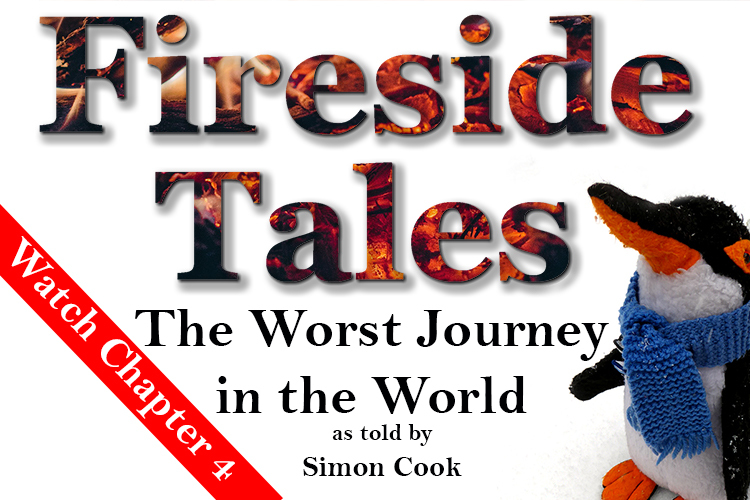 Here is Chapter One of Fireside Tales. Simon tells the story of the events of another winter far away and a long time ago. How well did you understand the story so far? Try and answer these questions. You can watch the video again. 1. Where do Emperor Penguins live? 2. Who was the leader of the 1902 expedition? 3. How heavy is an Emperor Penguin? 4. In which year did “the worst journey in the world” happen? 5. Why did Dr Wilson want Emperor Penguin eggs?